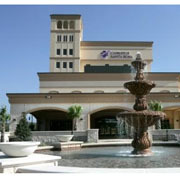 CHRISTUS Santa Rosa Hospital - Westover Hills is the first acute-care hospital in the Westover Hills community, the fastest growing area in San Antonio. The 150-bed hospital is located on a full-service health care campus, with state-of-the-art technology and offers a full scope of specialized services to include women's care, in-patient and out-patient surgical, imaging, ICU, and 24/7 emergency care. In addition to providing quality and compassionate health care, we offer an environment of healing with amenities such as private inpatient rooms, wireless internet connectivity for patients and guests, a healing garden, and a chapel.